The 2012 Region II is over and the Falcons found themselves on top of the field claiming the first place trophy with 220.5 points and a 24 point lead over Millbrook. If you were not present at this year’s Regional tourney, words cannot express the high level of action packed wrestling that occurred at host Kettle Run HS. Team Fauquier found themselves right in a unpredictable storm as the gym in Kettle Run could not even keep its doors on the hinges. Fauquier advanced 9 wrestlers to the AA States next weekend in Salem VA as the table is set for one last thing,...... who will it be the next Fauquier state champion? The Falcons were lead by Bennett Payne, Max Strum, and Even Oddenino who all won their respective weight classifications and claimed the top step on the podium as Regional Champions. Senior 126 pounder Bennett Payne won over Josh Hawk from Park View in a second period pin. Bennett now is a 2x Regional champ, as he also won Regionals last year. Junior Max Strum at 170 also won by pin over Thomas Smith of Powhatan, and it only took Max 40 seconds to win the his Finals match. Senior Evan Oddenino the final wrestler of the night was also a crowned a Regional Champion as he won a close overtime match 4-2 over Jordan Dowrey of John Handly. Both Max and Evan are first time Regional winners. The team will need their success to continue at states. Like in every sport to be the best and win any tournament, it requires many skilled participants. Going 22-3 on the first day and pushing 12 wrestlers into day 2 of the Region II tourney, Fauquier did in fact show that leading the field is a result of having a balanced year round wrestling program. These Falcon wrestlers have bought into the team concept that second year Coach Fisher has mapped out and of course comes with having a wrestling program that trains hard. Simply putting 10 wrestlers into a semi-finals and yes there were 10, I question if the Region II has ever had a team meet these standards. Each Fauquier wrestler had to win their first two matches to earn semi-finals placements points. But Millbrook who had defeated Fauquier in a dual at The Virginia Duals mid season and is currently a team with 7 seniors, again was providing some drama to this 2012 Regional meet. Millbrooks semi-final round went as planned for them as they advanced 6 wrestlers to the finals and also hopped over Fauquier on the leader board as the Falcons only could advance 3 out of 10 wrestlers. For each wrestler that wins and advances from the semi's to the finals, 9 team points are then also awarded as placement points. Many times the semi-finals will present the best two wrestlers in a weight class as Fauquier was tested by 9 different schools through there 10 different semi-finals matches. But one may have thought it was over for these Falcons but those wrestlers that had fallen in the semi's matches did in fact battled back as the team went 13-3 though the consolation semi-finals and consolation finals rounds to also obtain placement points. This again should show how the Falcons have been tested and able to overcome a loss and bounce back. Sometime having to rethink and redirect ones goal during a meet as such can be one of the hardest things an athlete may have to do. But again did I say the Falcons were wrestling with the team in mind. One of the main reason teams do win tournaments as such is because they push many wrestlers into the finals as what Millbrook did. In this case and if one looks deeper into how did Fauquier win the Region II with only having three finalist could be reflected in many ways. But the experience to deal with adversity and to have five different wrestlers wrestle back to obtain 3rd place status is a good sign of not giving up. That alone could have been the key to sealing and keeping the lead at the Regional II tourney as Millbrook never earn points above what Fauquier had going into the finals (204.5 pts). This was a roller-coaster of a Regional tournament. A tough semi-final round for team Fauquier and then the kids bounced back in the consolation brackets. Any thoughts with how this team wins its 3rd Regions title in a row. Fisher: I thought the way we won this tournament was a huge testament to the character and fortitude of this team. They faced adversity and responded with nothing short of what had to get done to come back and win. I believe overcoming the challenge we faced and overcame on Saturday afternoon will help us in the State tournament this coming weekend. We are coming to an end of the 2011-12 season,… This team when 17-3 in dual meets, won 3 different season tournaments as it continues in the post season. How does it feel to have so much success as the second year coach of this team. Fisher: Success always makes the many hours that my coaching staff and I spend even more enjoyable. But I know that my contribution to our success is only minor when considering all the effort by Parents, other Coaches, FHS Adminstrators, Trainers, Youth Coaches and other Fauquier Nation Volunteers. The team knows how to pin and earn bonus points, can you for see this to continue onto the states? Fisher: I expect us to continue to earn bonus through the state tournament. We will need to have bonus points for us to win next week. Salem, VA is the host of the State meet. What preparations is Coach Fisher going to do to assist in getting the Falcons standing on top of the podium again? Fisher: We will be working individually with the guys this week on some specific technique, and we will be continuing to tweek our warm-up procedures to help each individual wrestler be as prepared possible prior to each of their state tournament matches. The Regional tournament and the rough seas it may have presented for team Fauquier is now over as Coach Fisher will have one week to prepare the Falcons for the last tournament of the year. In some sense the Region tournament must be forgotten (for now) as the team must refocus and gear up for this main event, AA States. These are special times that will live in their memories forever as 9 Falcons get ready for Salem and Fauquier Nation comes to town. The best of the state will meet to compete for a state championship title. Win you advance to the next round, lose twice and your season will come to an end. Fauquier Nation, start packing your bags and Let’s Go! Below are Fauquier results at the Region II. Note: The Falcons finished strong as they went 3-0 in the Finals with two pins early in the both matches. 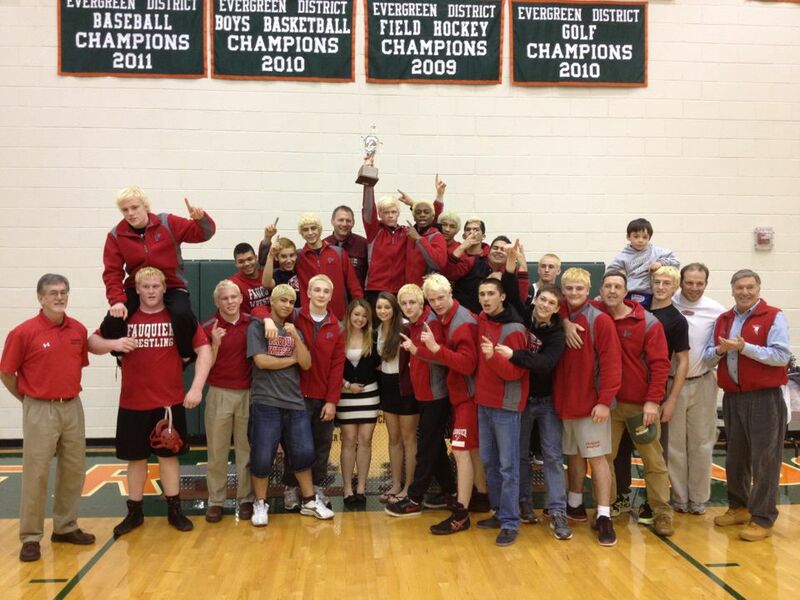 Fauquier wins its third straight Regional title with 3 first placers, 5 third placers, a forth, and two fifths. Fauquier will be sending 9 wrestlers to Salam, VA next weekend. After the semi-finals the team went on a 13-3 run. Note: Fauquier rebounded strong by going 5-1 with two pin in this round and maintains the lead by 26 pts over Millbrook. Note: Fauquier went 3-7 and had some very close matches that came right down to the last second. 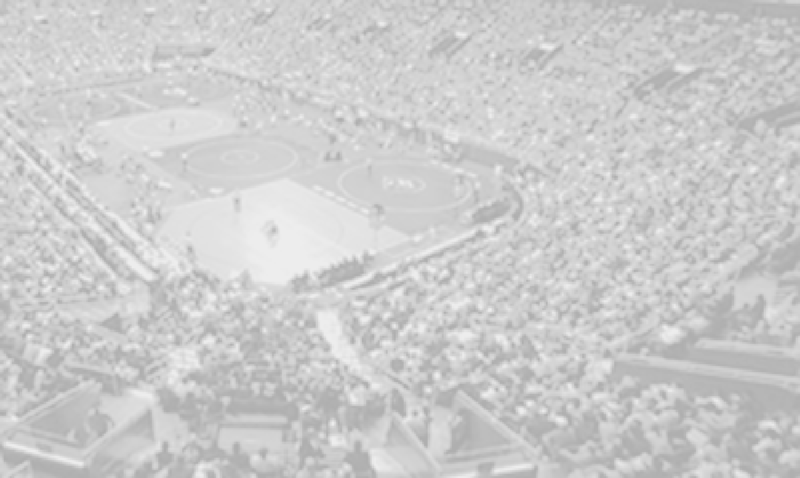 Many times the semi-finals will present the best two wrestlers in the weight class. Fauquier will have 3 wrestlers in the Finals tonight as the other 8 Falcons are still alive and must win one more match to go to states. Note: Fauquier with 1-1 with a pin. Note: Fauquier went 2-0 to start the day with 2 pins. They also improve by 6 pts. to 110 pts. 12 wrestlers are still alive. Note: Fauquier went 10-2 and put 10 wrestlers into the Semi-Finals. This is the first time ever that the Falcons have achieved this milestone with 10 wrestlers. With those 10 wins they also had 4 pins. Fauquier is in the lead with 104 pts. over Millbrook with 75.5 pts., followed by Brentsville with 65.5, and Loudoun Co. 53.5. Note: Fauquier went 11-1 with 6 pins. Tyler Budd had a Forfeit and Evan Oddenino had a bye. Fauquier is in the lead with 40 pts. over Millbrook with 37.5.